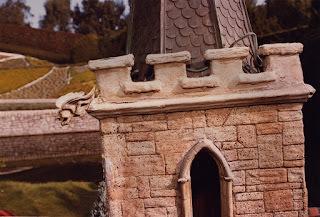 "There's nothing quite like messing about in boats," according to Ratty in The Wind in the Willows, and anyone who cruises the Storybook Land canal in Disneyland is in for a special treat. 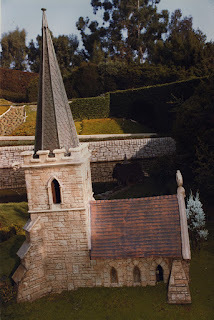 The castles, villages, and hammy hamlets that lie along the river's edge are miniature masterpieces of the highest order. 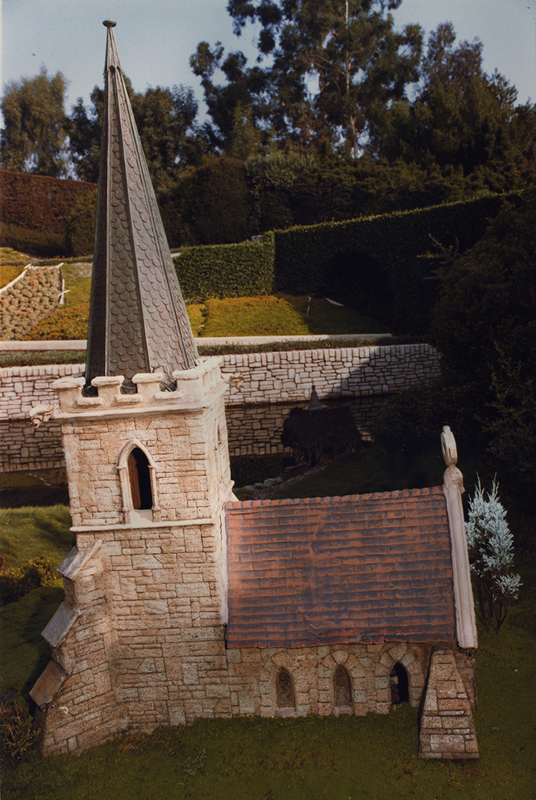 1955: The church was constructed at the Disney Studio in Burbank. 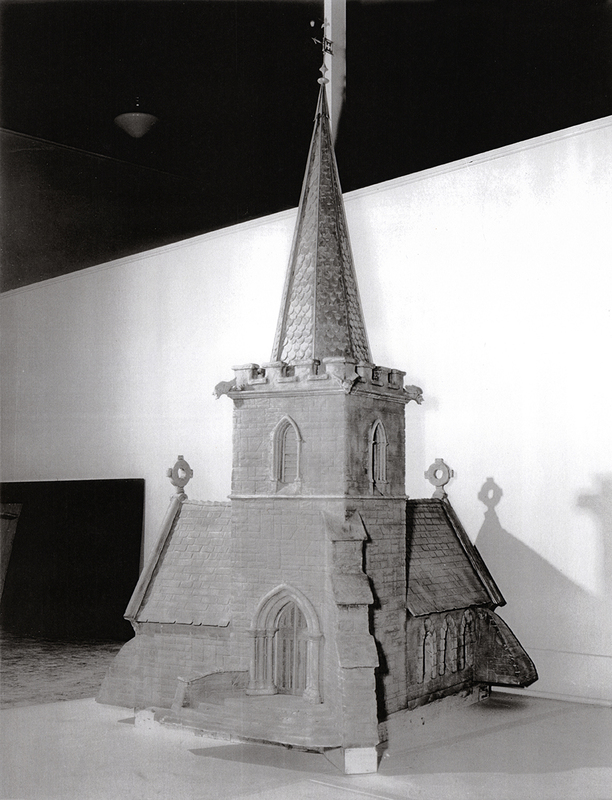 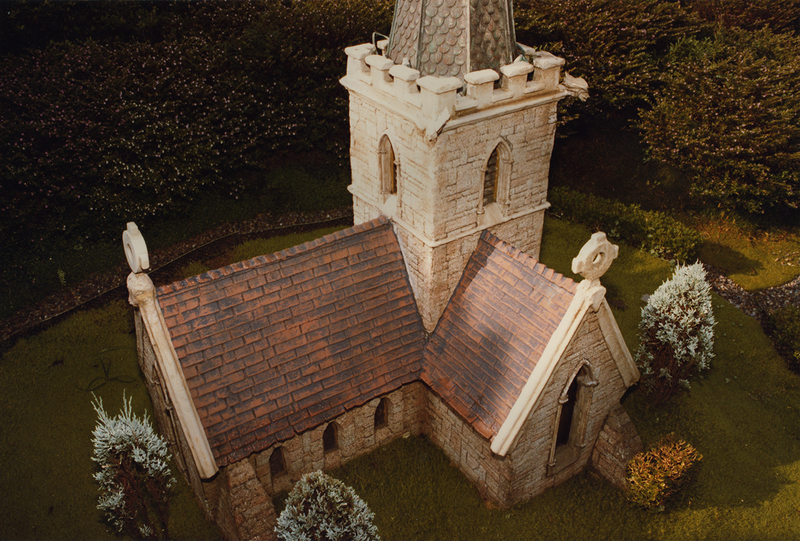 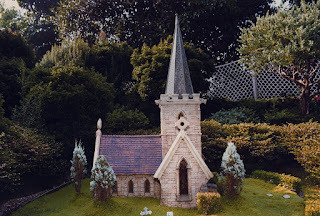 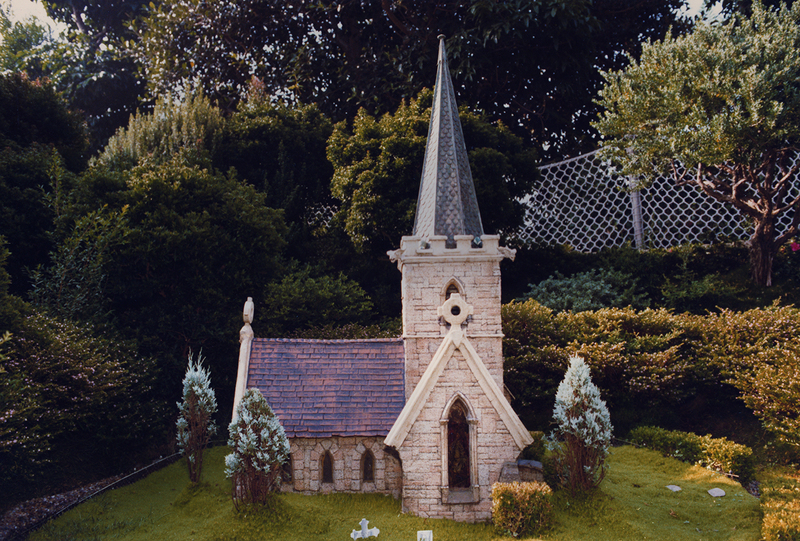 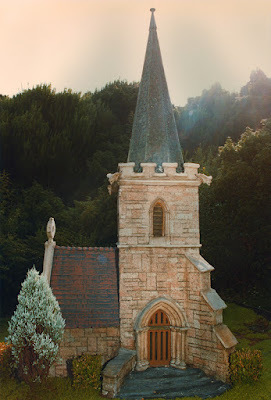 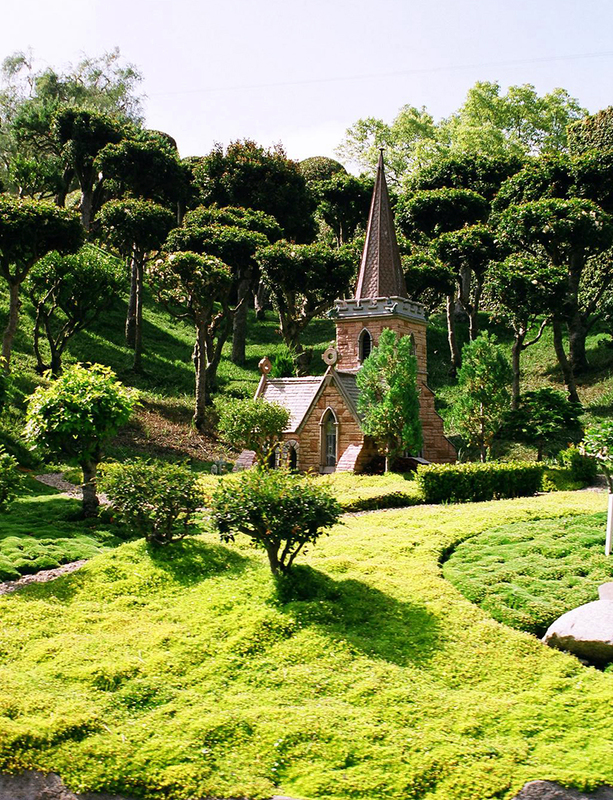 Often overlooked and under appreciated, the stone chapel of "Alice's Village" is one of the finest buildings created for the attraction—and it's also one of the largest, despite being scaled one inch to the foot. 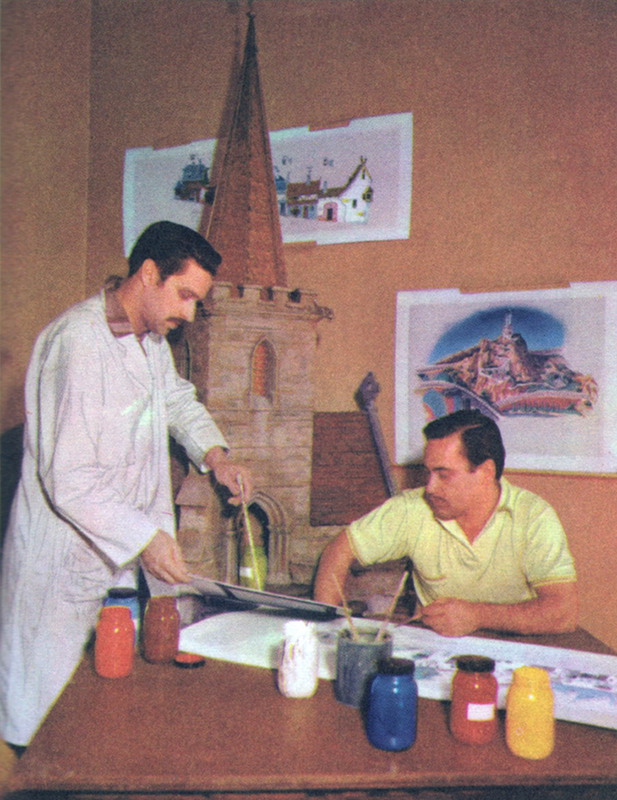 Scenic artists Frank Armitage (L) and Walt Perigoy choose colors for the church. 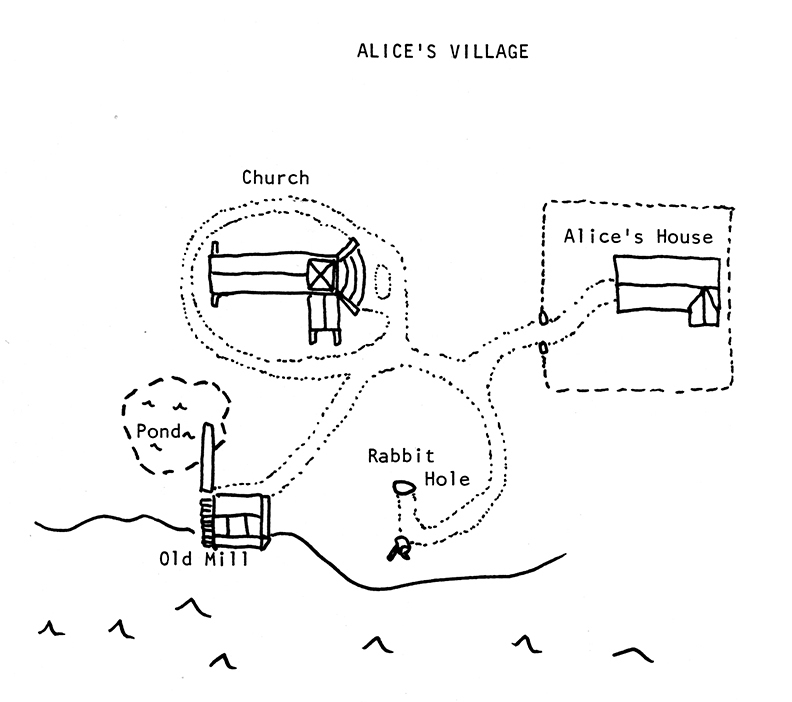 Layout for the "Alice in Wonderland" setting of Storybook Land. Hardly noticeable are the tiny sculpted gargoyles that adorn the tower. The church is made of marine plywood and redwood, covered in fiberglass. 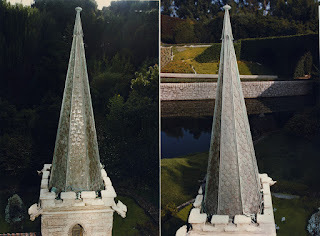 Metal flashings were used for the foundation to resist rot, and the building has openings so that air can circulate through to prevent mildew. 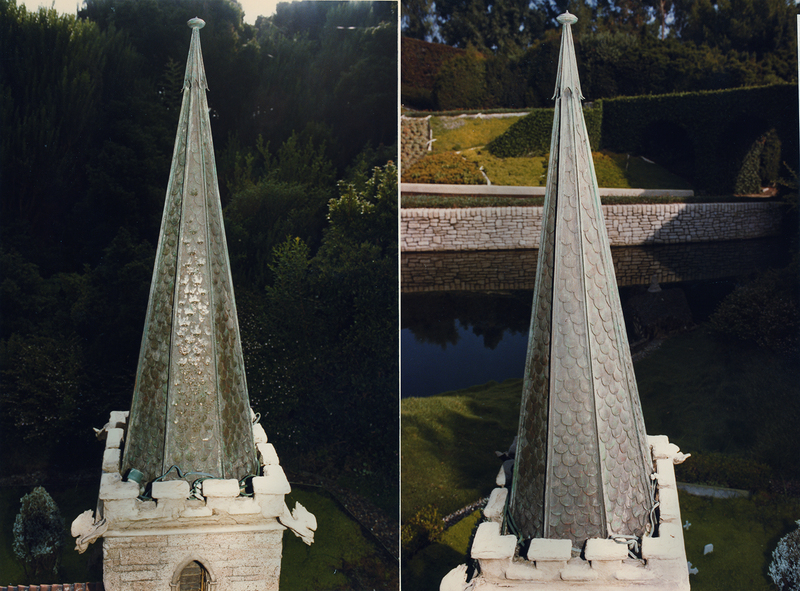 The left and right sides of the shingled tower roof. 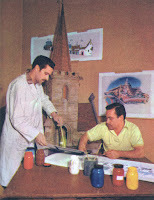 The elaborate stained glass is authentic and soldered by hand. 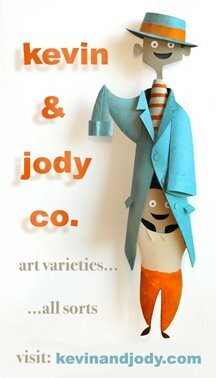 It was designed by Frank Armitage, and leaded together by Harriet Burns. 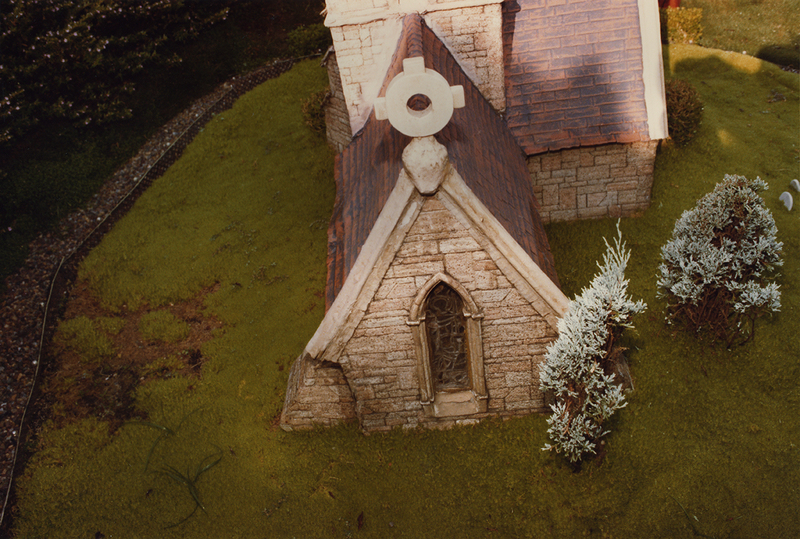 Barely visible here is the tiny graveyard with headstones and crosses. 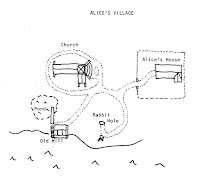 The show script, as recited by our boat's human guide, informs us that Alice lives in the little thatched house situated between the church and the rabbit hole. 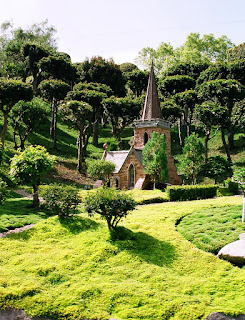 It's not difficult to imagine a tiny girl hurrying upon the tree-shaded path, in pursuit of a mysterious white rabbit.